Here goes yet another great pre-made workout for all the steel mace warriors out there in the world today. This one is dedicated to a day where love is seen and felt everywhere. I believe a warrior should always be connected to love and it’s divine power. Working through mind, body and spirit is the best way to tackle fitness goals. Am i right or am i wrong? Anyways! Happy Valentines day. 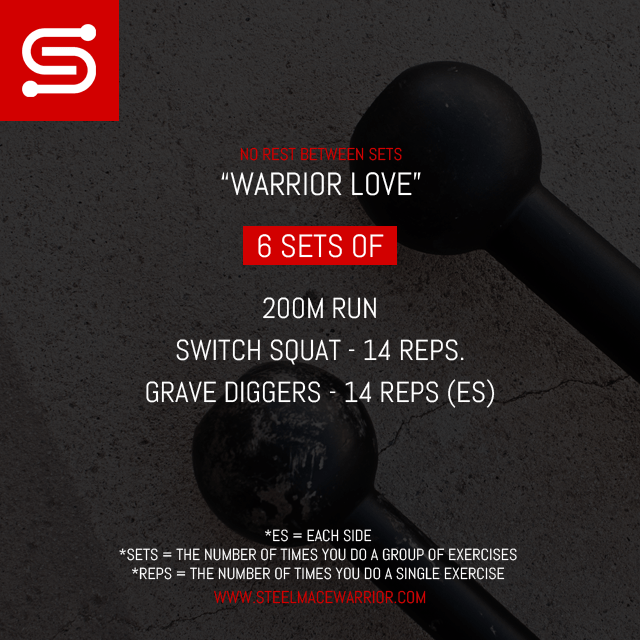 Here is the “Warrior Love” steel mace workout that i know you will enjoy.